We just finished an interior fit-out of 1,845 sf of laboratory space on the 9th floor at 3711 Market Street in Philadelphia. 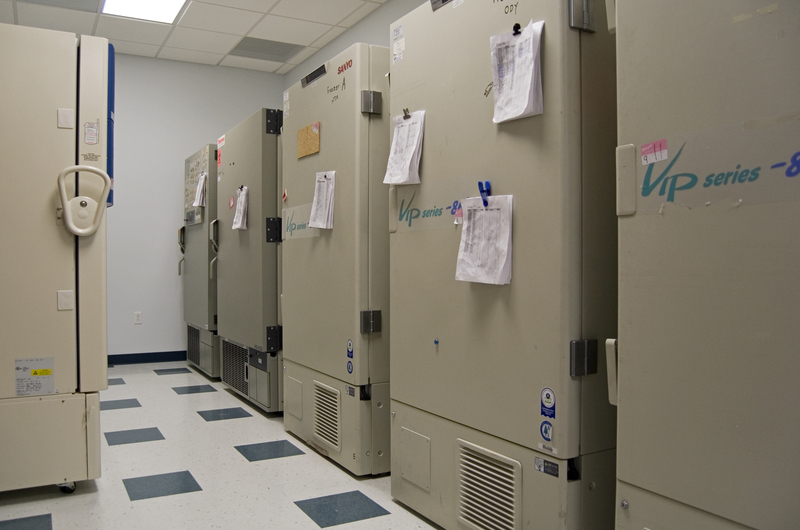 In order to prepare,preserve and ship human tissues and organs for scientific research, the National Disease Research Interchange (NDRI) required a work lab, bio-safety zone, and freezer room housing fourteen tissue freezers and liquid nitrogen storage tanks. 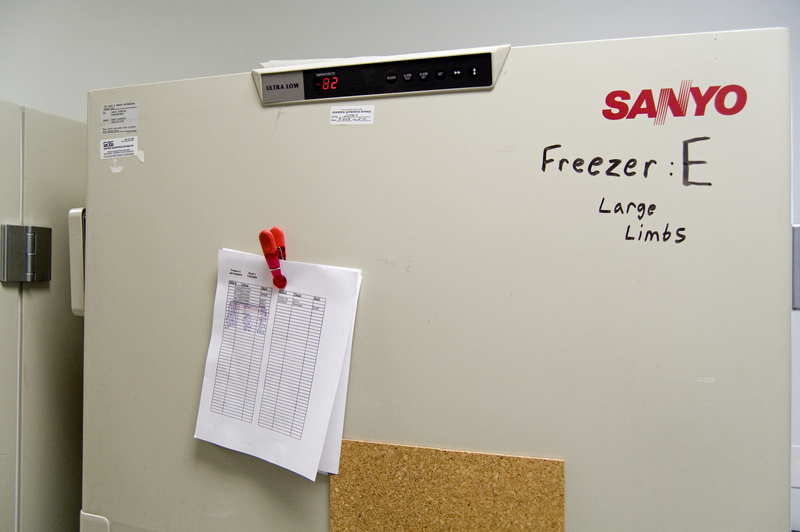 It takes a lot of power and energy for these babies to hold steady at -82 degrees Celsius so we had to put in extra effort to keep this room at a reasonable temperature. 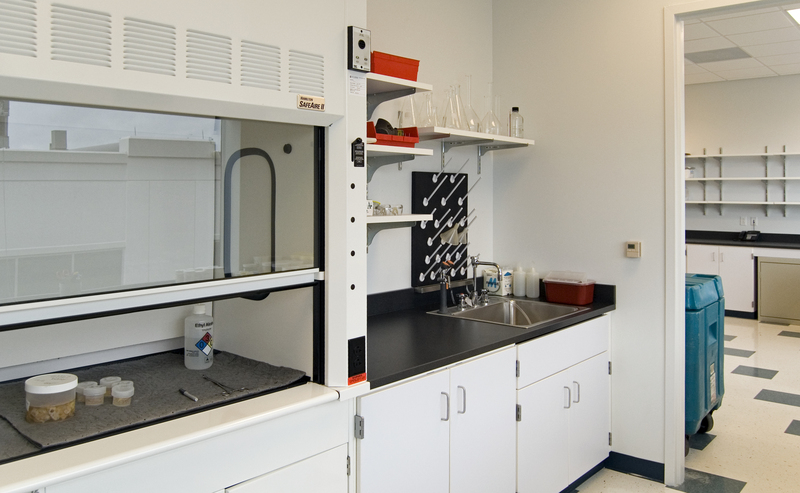 We were still able to finish it in 6 weeks with chemical resistant work surfaces, fire rated and acid resistant casework, a high-volume fume hood with constant volume bypass, and independent mechanical systems for heating and cooling. Check out the writing on this one. Not a good place to stash your lunch.